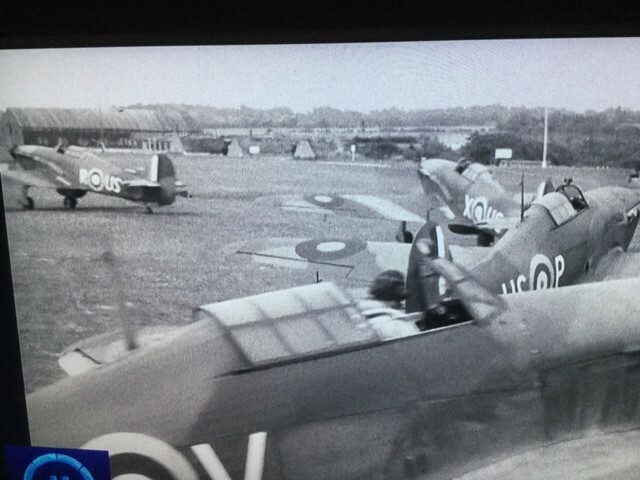 This film I remember was shown in the local village hall where I live sometime in the mid fifties. 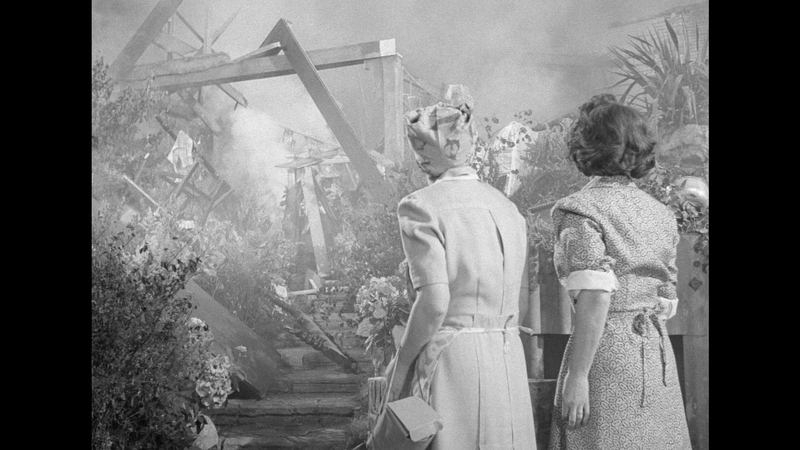 We had at that time a full film programme every Tuesday evening and we loved it – and the films we saw there as youngsters were memorable to say the least. 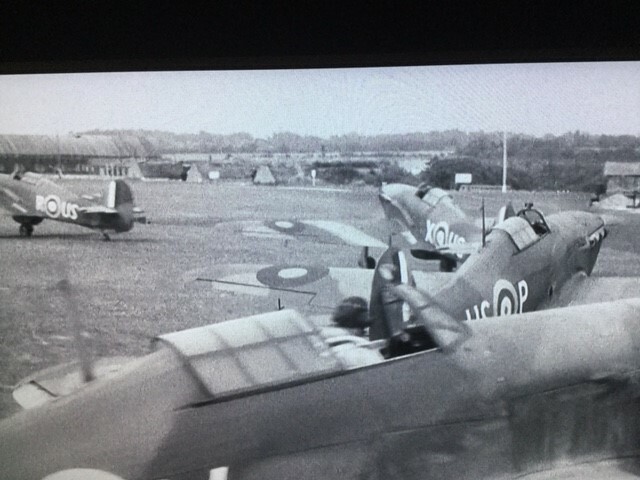 This was one of those – a film about the Battle of Britain with terrific sequences filmed at Kenley Airfield in Kent – over which the famous battle was fought. 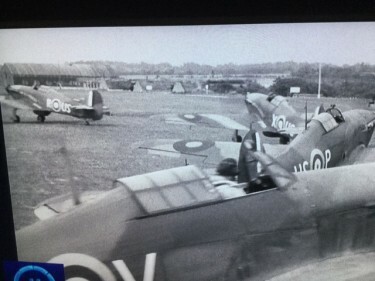 One scene from the film – which was on BBC TV in England today Saturday 7 th. 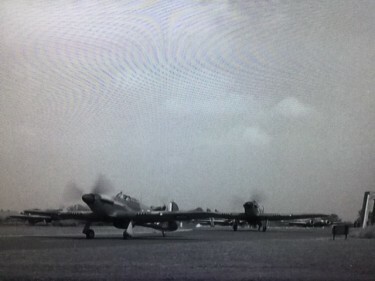 January 2017 – showed the RAF fighters scrambled and then we saw maybe seven Spitfires / Hurricanes taxiing out to the runway – a scene that could not be done today – and then even better, as Dulcie Gray walked beside the airfield the fighters took off two at a time in a spectacular sequence that would be more impressive today than when the film was released I reckon because people would still remember it well from only 7 or 8 years earlier and also they would not be looking at it with the same nostalgic eyes that we would today. 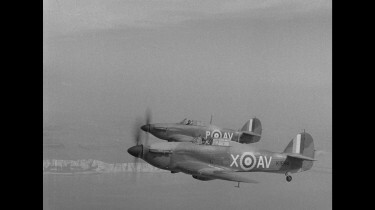 Above: Spitfires and Hurricanes over Kent. 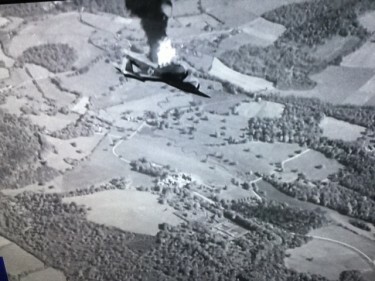 There was a cast of stalwart British Actors taking part – many of them would have served in the forces only a few years earlier so knew exactly what it was all about. Filmed mainly at RAF Kenley and at the real operations block at RAF Uxbridge. Above: A German Fighter is shot down over Kent. Based around events at a RAF fighter station in the summer of 1940, T.B. 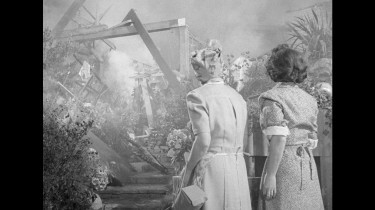 ‘Septic’ Baird (John Gregson) arrives in a heap by landing his Hurricane on its nose in a garden at the end on the runway. 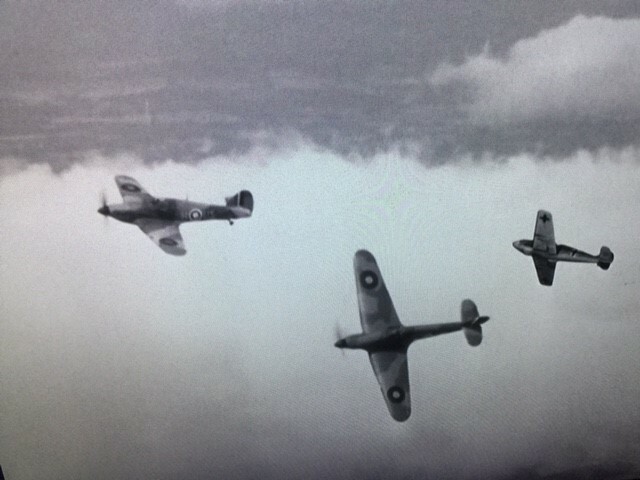 Captain ‘Tiger’ Small is played by Jack Hawkins.